It’s no secret that college is overpriced, placing students in a financial bind after graduation. Let’s take a look at this convoluted scenario: you go to college to receive an education, and not only do you have to spend the money you worked hard for and earned during your high school career, but you also have to take out loan(s) ranging from $21,000 to $200,000 just to pay for that education. Once you are financially drained, you graduate. From there, you are expected to find a job. Once you get the decent paying job, most of your income goes to the student loan debt, making it hard to save money, much less save for your future and obtain "the American Dream," which could be to buy a home, car, travel, etc. Yes, that entire process is a nightmare. However, outside scholarships can completely alleviate those financial woes and eliminate that stressful process. In case you're scratching your head, an outside scholarship is "any scholarship not awarded by the government or the school, such as a scholarship provided by a private sector company, philanthropist or foundation" (finaid.org). In short, an outside scholarship is free money. You would imagine students being enthusiastic like my friend Kermit here, but surprisingly, many students aren't. As with many opportunities that seem "too good to be true," outside scholarships commonly fall into this category. I have to be a straight "A" (4.0) student or an athlete in order to win scholarships. The scholarship process is too competitive. I’m not heavily involved in extracurricular activities. It's not worth the time or effort. It will negatively affect my financial aid. It's too late to apply for scholarships. I won’t have a social life because I will always be writing essays. I'm ineligible for the majority of the scholarships I find. I have to compose scholarship essays on a J.K. Rowling skill level. 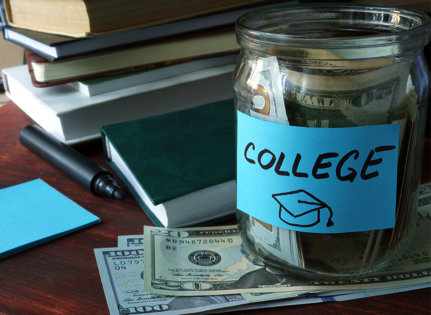 As a college student, I’ve heard all of these assumed “cons” of outside scholarships. However, I am here to tell you that every setback listed is a myth because I was able to win over $153,000 in outside and merit scholarships and place it toward my education at a private university without spending or borrowing a penny! Yes, I did in fact say that I have not paid a dime for my college education thus far, thanks to outside scholarships. I know you may be thinking, “Yeah right, how is that even possible?” But surprisingly enough, it is! In the next blog post, I will show you how I was able to accomplish this task, and how I was able to experience all of the countless opportunities with it.